Rains County is in northeast Texas on the upper reaches of the Sabine River. It is bordered by Hunt, Hopkins, Wood, and Van Zandt counties. 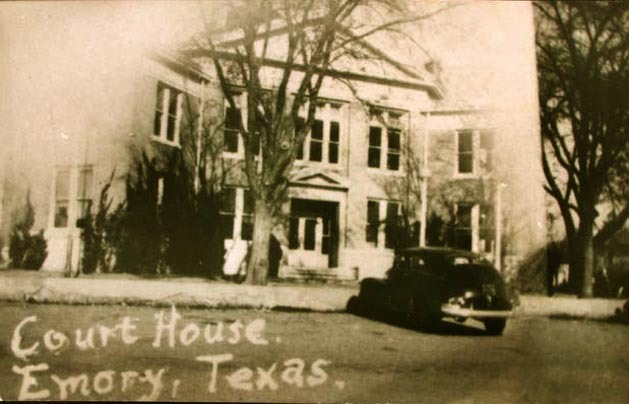 Rains County’s first courthouse was a log building. It was used until a two-room courthouse was built in 1871; this second courthouse burned in 1879. The log building was again used as a temporary courthouse until two-story building could be built in 1884. The 1884 courthouse burned in 1908. Rains County’s current courthouse, shown at right from a 1940s postcard, is the Fourth Courthouse. It was built in 1908. 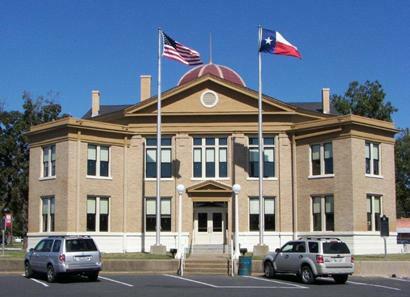 Second photo, from TexasEscapes.com shows the courthouse after remodelling.